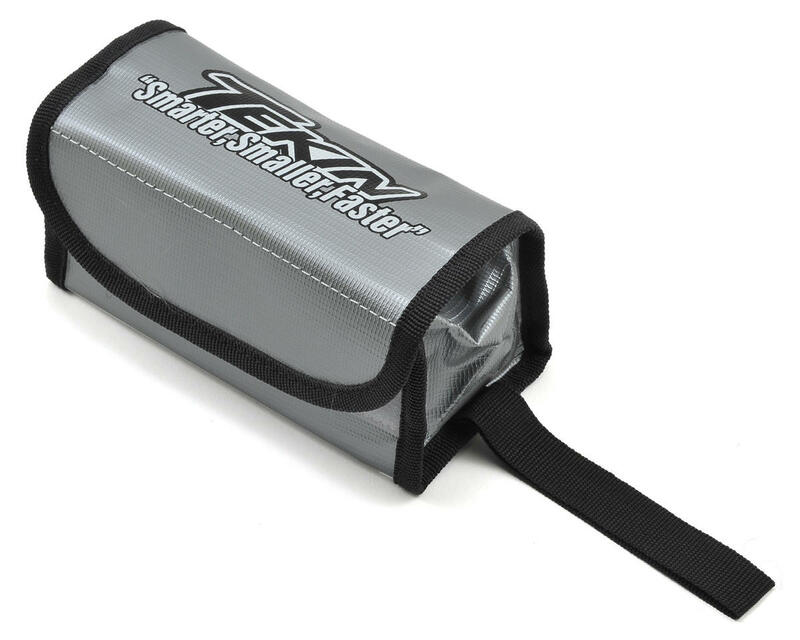 This is the Tekin "LiPo Safe" Li-Poly Battery Charging Sack. 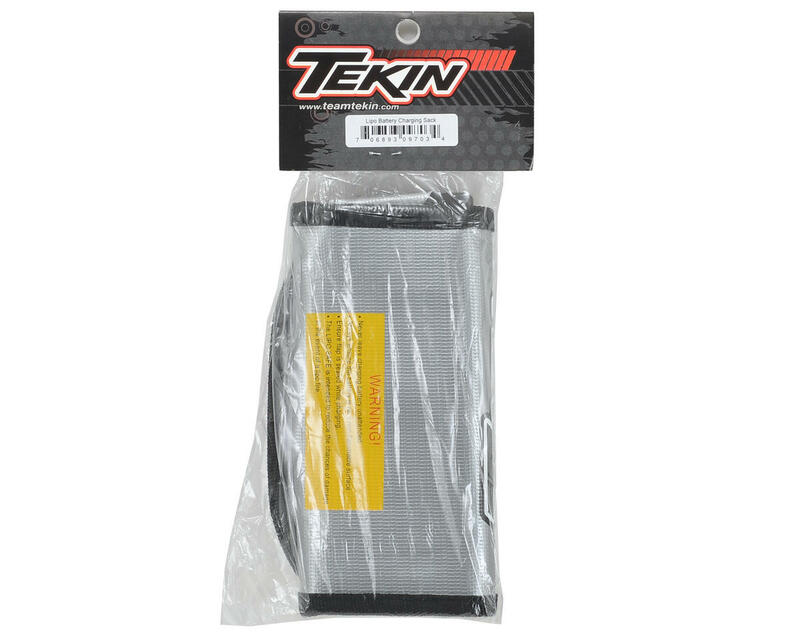 Constructed from flame resistant fiberglass, the Tekin LiPo Safe is a must have accessory and safety device in your pit setup. Charging and storing LiPo cells should be done in a flame resistant enclosure at all times. The Tekin LiPo Safe will store two 2S LiPos or one 4S, 5S or 6S LiPo.